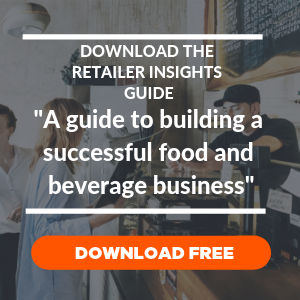 If you’ve just set up your food and beverage business or even if you've been operating for a little while you might be wondering whether it's worth investing in a professional accountant to help you with your finances. We are very pro having Accountants and Bookkeepers to keep your financials in order. Well, we've put together a list of pros to help you decide! Starting a food and beverage business can be both stressful and overwhelming. Aside from planning your product range or your menu, you'll also need to focus on the business set-up side of things. Here in Australia, every state has different requirements that a business needs to comply with - licenses, tax permits, and so on. An accountant can help you make sense of all of this. With their experience and expertise, they can do all the heavy lifting and ensure you start your business on the right track. An accountant can guide you through tax time and take care of other time-consuming tasks, such as applying for loans, handling audits, managing funds, and preparing important financial documents. This frees up your time to focus on why you started your business in the first place. What's more, you’ll have peace of mind knowing that you have an expert in your team keeping tabs on your cash and business critical aspects of your operation. Forecasting cash flow is vital for businesses, because it prevents you from getting into financial trouble. A cash flow forecast shows your projected income and your estimated expenses and setting one up can be quite time consuming. An accountant can guide you through the entire forecast creation, provide you with advice, and ensure you are making the right calculations - having your cash flow forecast set up correctly is worth it's weight in gold! What's more an accountant has the ability to analyse all aspects of your cash flow wheel - from the effects of your payment terms to the changes in your customers’s paying behaviour - and compile them in to a clear financial report that can then help you make informed business decisions. You can go to your accountant for anything finance related for your business and they can even give you good advice on how you can separate your personal money from your business money. An accountant can also guide you through payroll processing and help you understand your financial statements so you know exactly how your business is doing. We recognise hiring an accountant isn't often front of mind for many food and beverage businesses in their early days but we also know that partnering with a like-minded financial expert will help you form the very best foundations for success. Investing in an accountant can give you a comprehensive picture of your business’s financials, help maintain your fiscal health (both business and personal) and secure your long-term progress. Want to read more business advice like this? Visit our blog.